Those of you who read this blog regularly will know that I love taking a look behind the scenes of food producers and places. 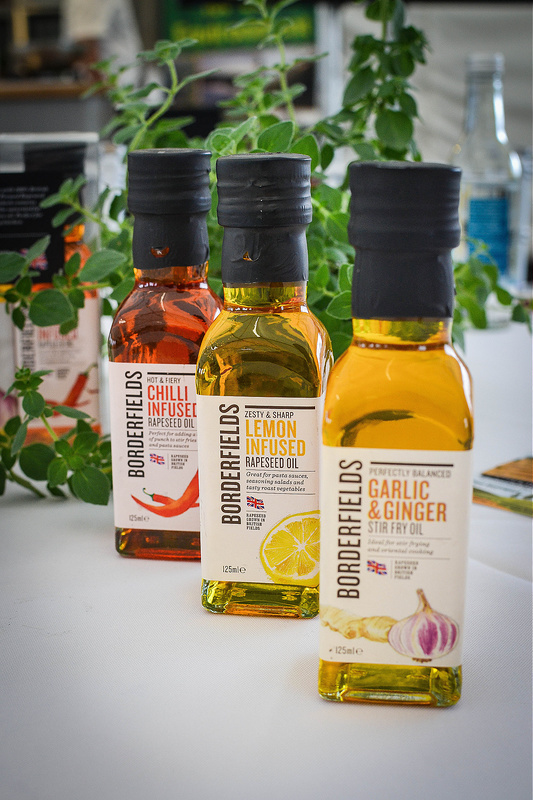 I was therefore so excited when I received an invitation from Borderfields Rapeseed Oil and Hammond Produce to visit their Innovation Garden in Nottinghamshire. The day started with some cooking demonstrations from Phillipe Wavrin. I loved his style of cooking from the outset. 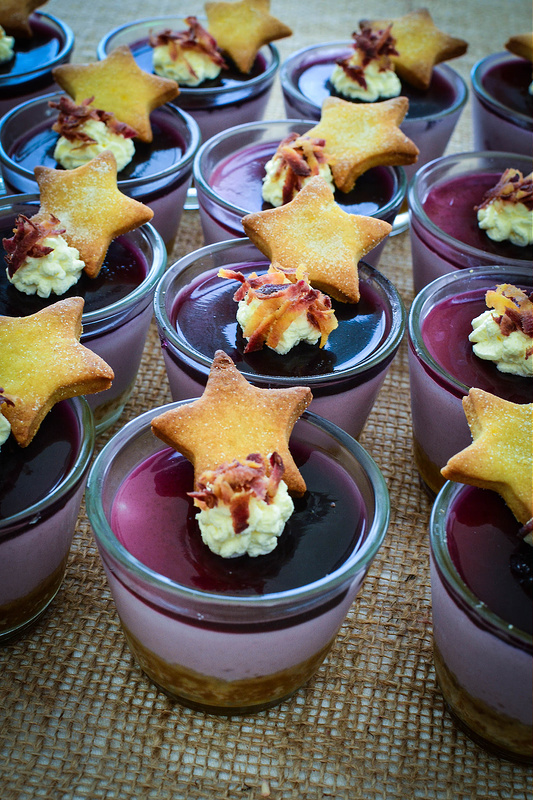 He was calm, precise and used the simplest of techniques to create these stunning dishes. So this dish is nothing particularly inventive which makes it all the more of a genius idea on a plate. Chef Phillipe first prepared some crudites using turnips, beetroot, carrots, radish, chard and fennel. All raw and picked from the Innovation Garden moments before. The mayonnaise was made with normal Borderfields Rapeseed Oil but at the end just before serving Chef added some creme fraiche. This simple idea has put me back in favour of making my own mayo which to be honest I have found heavy and eggy in the past. A little extra oil was drizzled over the raw veg and a perfect starter was served. Now this sounds even simpler. 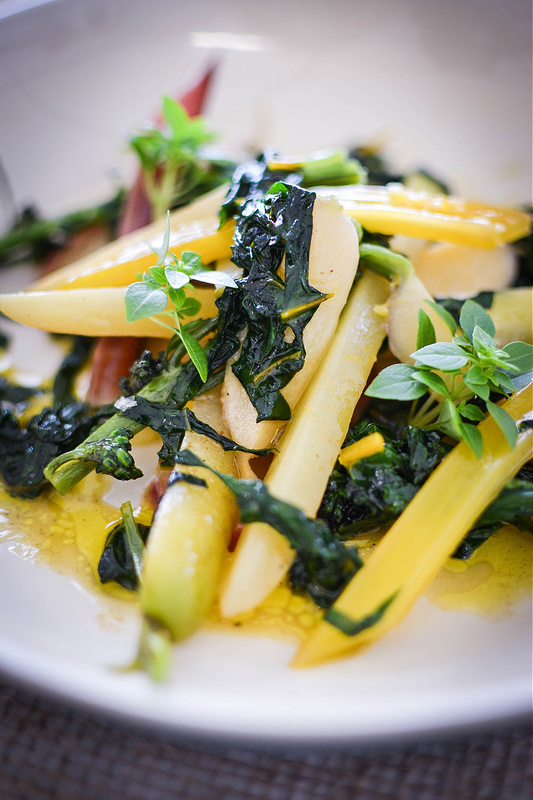 The vegetables were sauteed ever so slowly in butter, Roddas Butter to be precise, and Bordefields Rapeseed Oil. It took about 15 minutes in total with tiny additions of water only. 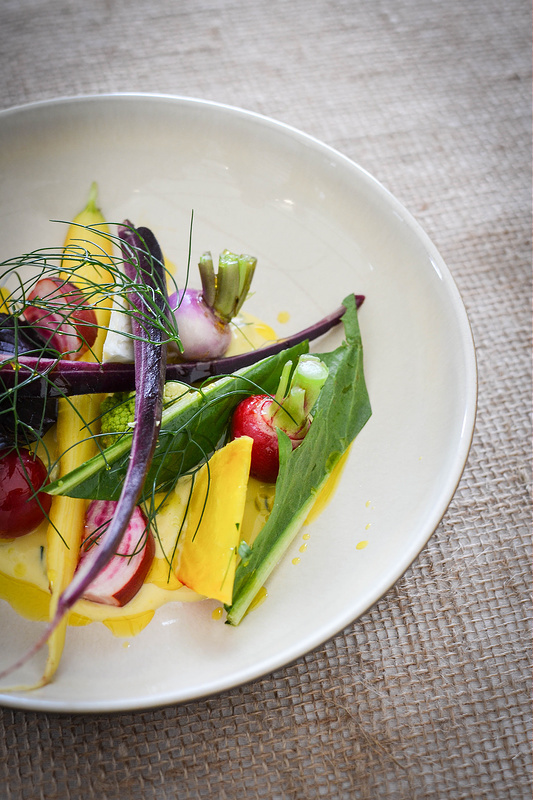 Chef Phillipe didn’t want to dilute the flavours of the butter but simply to ensure the veg were not burning because this dish was all about creating a velvety sheen on the vegetables. They were added at different times to ensure each was cooked perfectly with nothing too soft or too crunchy. I loved smoked Rapeseed Oil but have never been a fan of flavoured oils. I find they simply don’t have enough of the flavouring to really make a difference. This was the case with the Borderfields chilli oil we tried. I think they could develop a stronger chilli taste and perhaps a smokiness too. The garlic and ginger was perfect however but the lemon was outstanding. It tasted as if the lemon had been freshly squeezed over the dish vs infused into the oil. This is such a classic combination and again aside from the mountain mint there were no special ingredients. It tasted sweet and buttery at the same time. 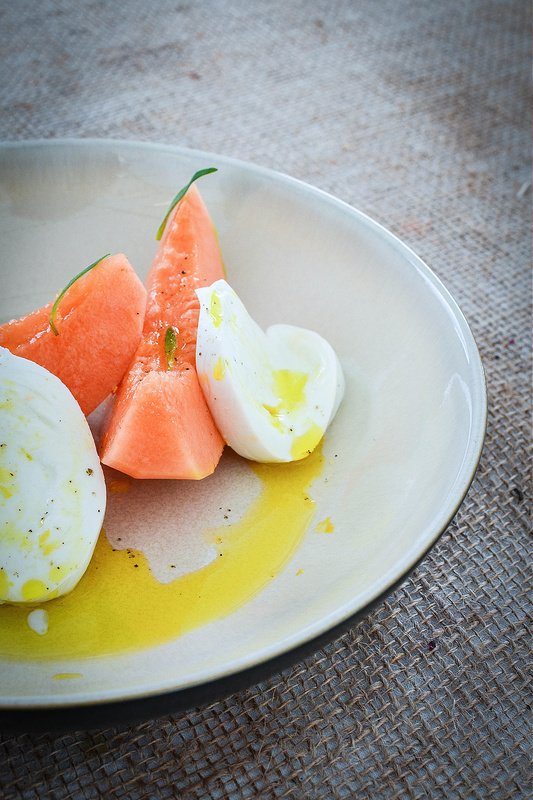 The lemon oil was so light it tasted as if the lemon had been freshly squeezed on top of the dish. Mountain mint is a native US herb that Hammond Produce are developing here in the UK. It’s incredibly subtle but without it this dish would not have been the same. 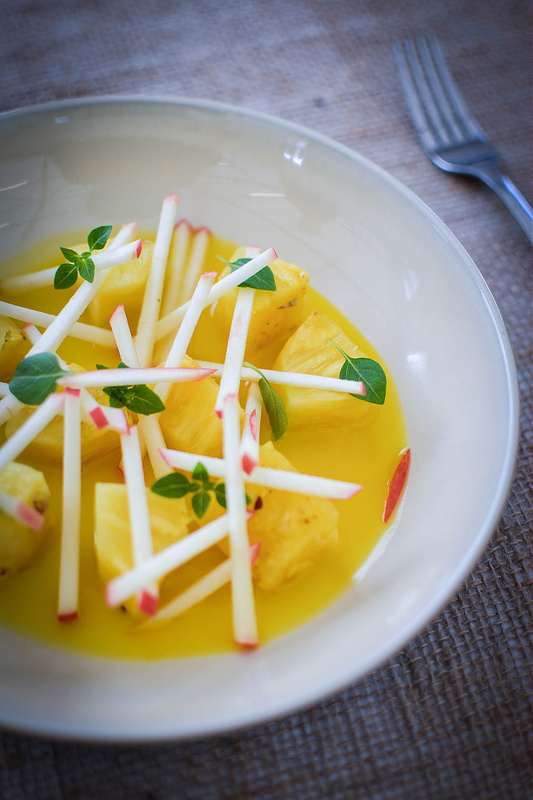 Finally Chef Phillipe whipped up some honey with the lemon rapeseed oil and used it as a rich base sauce for pineapples and apple sticks. 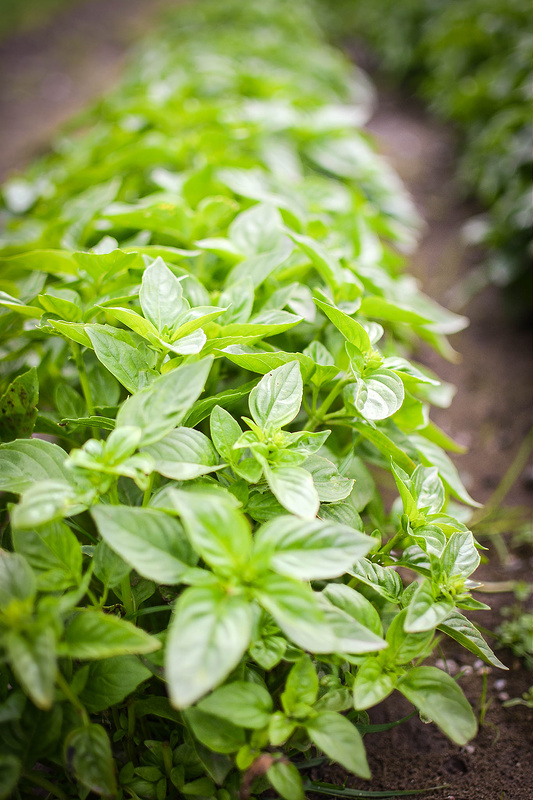 he then delicately placed some baby basil leaves on top. Simple and clever. As if all these demonstrations were not inspiring enough, we then took a walk through the innovation garden. It was the most perfect giant allotment. 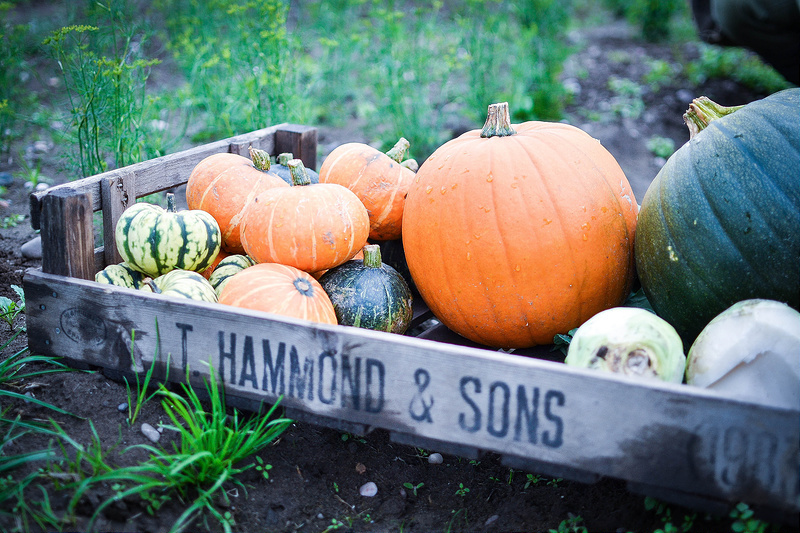 The Hammond family has been farming in Nottinghamshire since 1900 when Thomas Hammond bought a 12 acre farm in Arnold from his retiring employer. Today, the business farms across 3 counties and 3,500 acres and produces over 50,000 tonnes of fresh vegetables each year. We saw so many varieties of new plants and vegetables that are being trialled for growing in the UK. 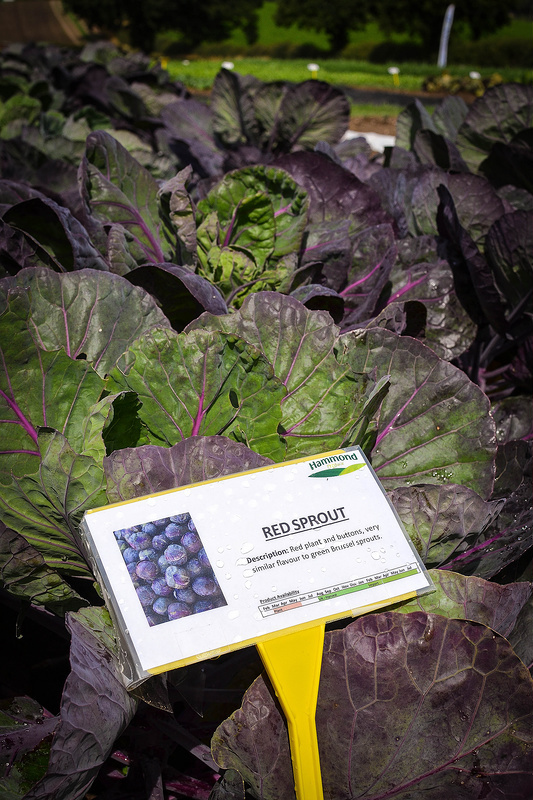 Red Sprouts – how cool would these be? After that we had lunch which had been made using the garden’s ingredients. The highlight for me was this Carrot Cheesecake. I’ve actually tried growing these purple carrots. They are called Purple Haze and are just so pretty when they do manage to grow. My clay soil is not the best but I’m going to try them again just to make this cheesecake! I left feeling so inspired and even more excited about seeking out new veg to try and grow. Thank you to Borderfields and Hammond Produce for inviting me to experience your beautiful Innovation Garden. 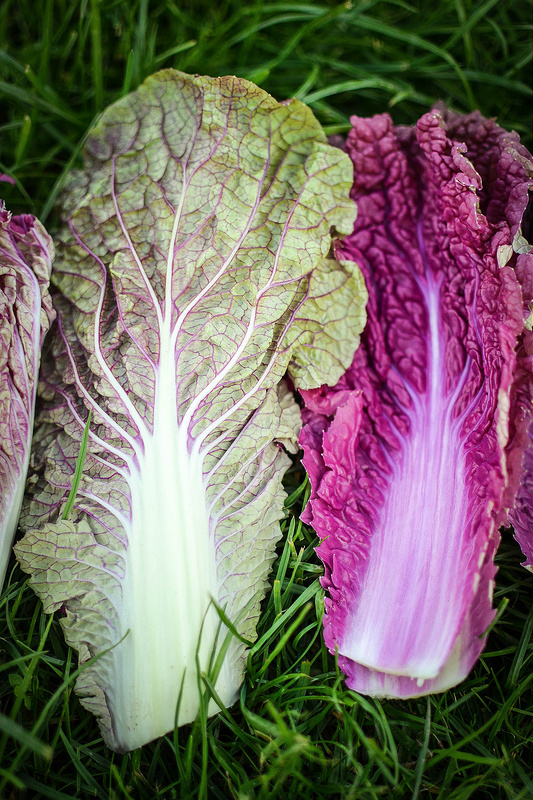 What unusual varieties of veg do you grow? 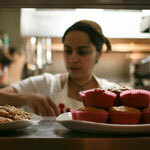 Do you actively seek out produce from your own country? What a wonderful day out Urvashi – your photos are stunning and I love all those vegetable ideas… carrot cheesecake sounds too good! So yummy and deliciously looking and sounding food. Makes my mouth water. Love the colours of the pictures! Fresh and beautiful!